With ToC v2 DELUXE, more characters have been invited to the party: The Socialist Revolutionaries, the Japanese, and infamous far est warlords. The designer has also improved the way Action Cards drive the game: building more angst into player choice & trade-off. An improved replacement step mechanic to repair and build units that better reflects the dynamics of the conflict has been added forcing players to make difficult choices. 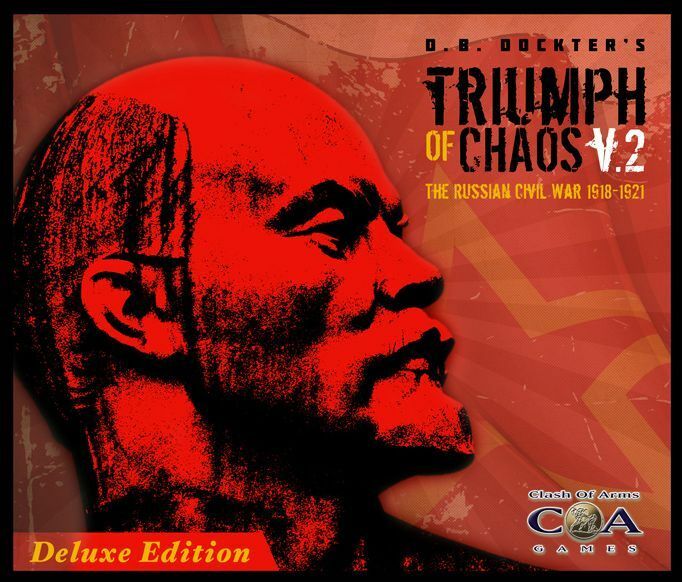 ToC v2 DELUXE, utilizes the basic card-driven wargame/point-to-point engine made popular by Mark Herman, Ted Raicer and others to handle the military component of the conflict. Additionally, a political mechanic determines how the Reds & Whites are able to enlist support from near and abroad republics, bordering countries and the great powers. With ToC v2 DELUXE, faction and operational rules have been optimized for superior gameplay. It's bigger & better: TWO standard game maps now (old map "blown up" 40% and the Trans-Siberian rail line all the way to Vladivostok added)... 1" x 1/2" glorious counters with period art... better playaids, a bigger, more descriptive Faction Control Table, helpful setup cards... and much more.